- High conversion rate, high efficiency output. 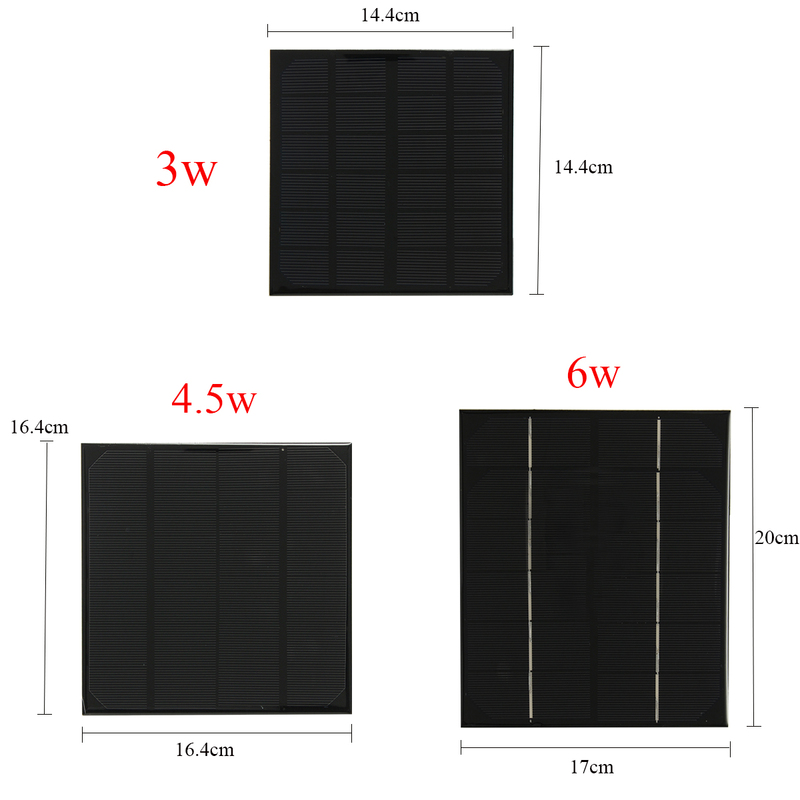 - Mining high transmittance tempered glass quality. - Unique technology allows components beautiful and strong anti-snow, easy to install. - Unique technology to avoid water freezing and deformation within the framework of. - Easy to use, you can charge your mobile phone or digital products anytime and anywhere. - Environmental protection, energy saving, the use of green energy, solar energy. - Apply to emergency situations. 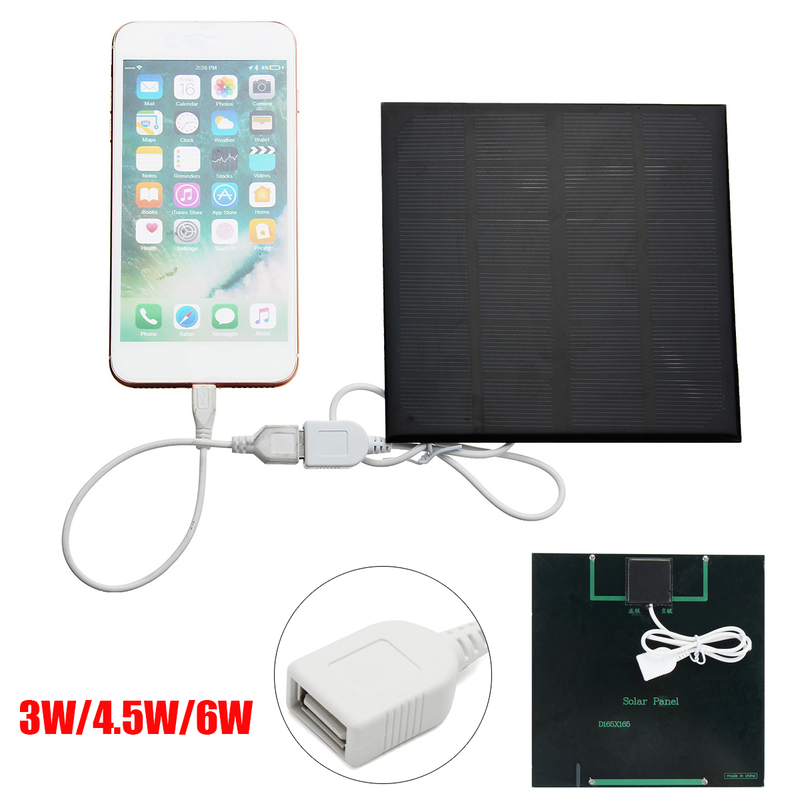 When you are in the field or in a power failure, the solar charger will keep your cell phone working. - Applicable to ordinary mobile phones, mobile power, MP3, MP4 and other digital products charging. - Applicable to disaster relief, geological exploration, emergency power, solar power generation systems, train lighting, tents, power supply systems. Size of 3w: Approx. 14.4x14.4cm/5.66"x5.66"
Size of 4.5w: Approx. 16.4x16.4cm/6.45"x6.45"
Size of 6w: Approx. 20x17cm/7.87"x6.69"